Even as a skincare & beauty blogger, I never used to really understand the point of cleansing and toning in the morning. 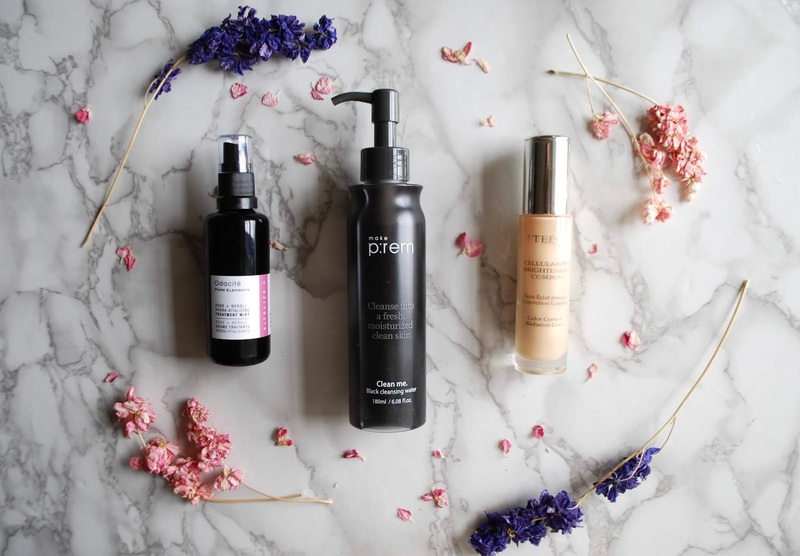 I think that's because I never saw a huge benefit from it--and I like to see real results from the skincare products I use, invest in, and recommend to you guys. But in the past couple years, my skin has gone through some pretty big changes (hello, super-late twenties!) and it has become more oily and sensitive, not to mention my struggles with rosacea. 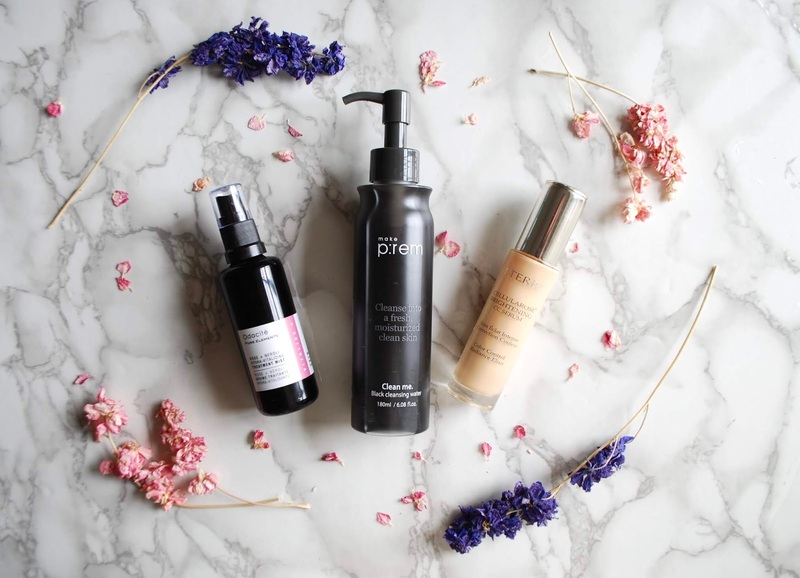 These products have become firm staples in my routine because they hydrate, soothe, and give me that glow that I constantly crave. I found this k-beauty gem at Target and forced my long-suffering mom to bring it over to the UK from the States. It's made of black peat moss water, birch sap, apple water, and radish root ferment. I dispense a couple of pumps of the greyish water onto a cotton pad (the Glossier ones are my favourite as they don't leave bits of cotton residue behind) and sweep it over my entire face. This leaves my skin looking firm, plump, and bright--it's seriously glow-inducing. This is also great for the end of the day as it is awesome for removing makeup, and the black peat moss water does double duty as a bit of a detoxer. 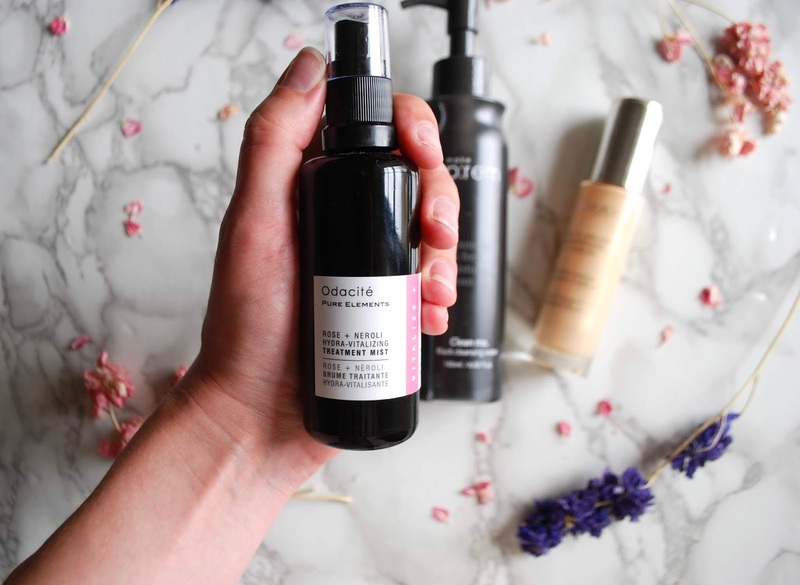 I follow up my cleansing water with this treatment mist from Odacité, a brand that I have raved about before. I use this to hydrate and soothe my skin after my cleanse. 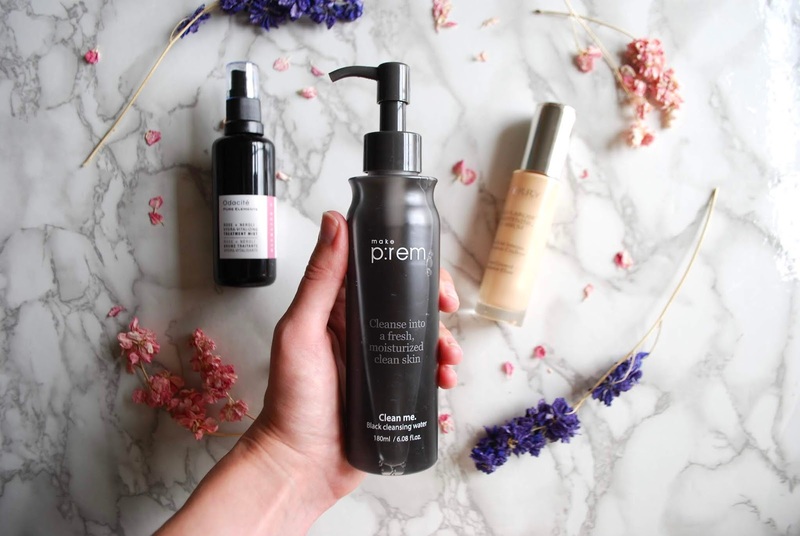 Although I don't find the Make P:rem black cleansing water to be stripping at all, my dehydration-prone skin always needs an extra dose of moisture after cleansing. I spritz this a couple of times on a cotton pad and sweep it all over my skin, taking care to kind of press it in. If my skin is feeling extra dry (hello, hangover! ), I do two layers of this. I love this treatment mist because it hydrates, soothes, and evens out my skin tone. Combined with the radiance I get from the black cleansing water, my skin is starting to look pretty darn good. 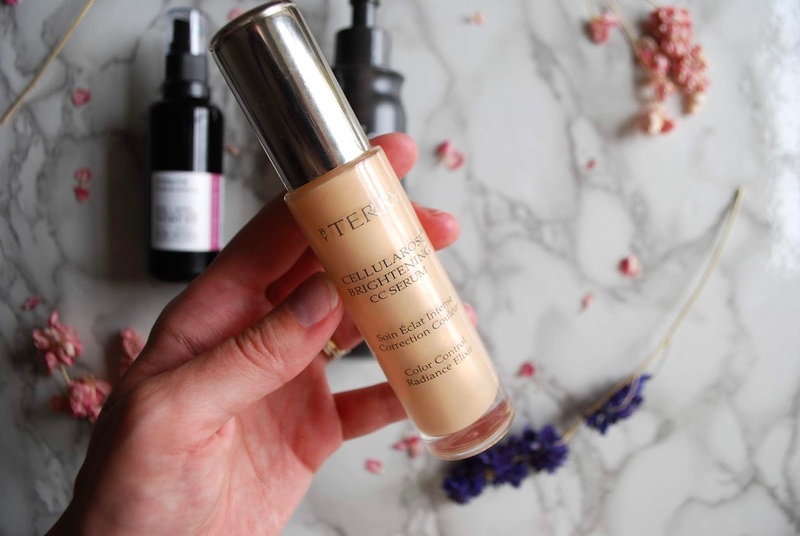 After finishing off the rest of my morning skincare (full details coming later this week), I apply the By Terry Cellularose Brightening CC Serum in Apricot Glow. I was super skeptical about this product because of the price and the hype surrounding it, but I actually love it. This pearlescent concoction colour-corrects my redness a little bit and further evens out my skin tone. This is a product that even oily-skinned gals would love as it makes my skin look glowy and luminous without looking shiny or oily--even ever so slightly mattifying my overly oily t-zone. Apricot Glow is the perfect shade for my light-medium skin tone. I am hoping to try the darker shade soon as I think it could also be used as a sheer liquid bronzer. On a no-makeup day, I will stop after applying the brightening CC serum, but for a natural makeup look, I'd slap on some concealer, blusher, mascara, and a tinted lip balm for an easy, pretty look. What are your favourite glow-givers? *kindly gifted but all opinions are my own.